Marty Haugen has created this Communion service to celebrate the common heritage among Christians. The collection highlights the musical texts common to many Christian communions, including "Glory to God," "Alleluia," the eucharistic acclamations, "Lamb of God," and various songs. 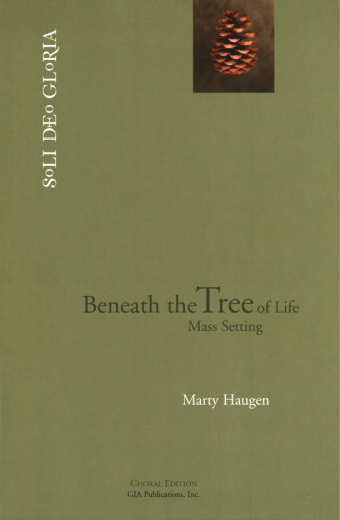 The Beneath the Tree of Life-Mass Setting offers a complete musical setting of the Roman Catholic Mass. The ritual form of the Holy Communion: Tree of Life Setting follows traditional Lutheran practice. New propers written for this setting include The Brief Order of Confession and Forgiveness, the Post-Communion Prayer and Canticle, three Great Thanksgiving texts, and the text for the offertory song, "Come Let Us Bring." Many of the songs in this collection are dedicated to personal mentors in Marty's life, including well-known professor of music Weston Noble. 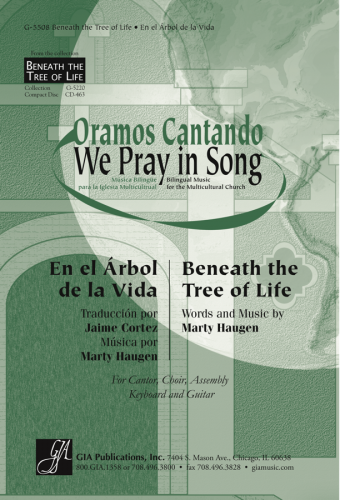 Beneath the Tree of Life was commissioned by the Diocese of New Ulm, Minnesota, as part of a jubilee gathering rite.